What, never heard of them? Anzhi Makhachkala –what, never heard of them? Then we can enlighten you, seeing as we have already learnt the name by heart and try to introduce this club to every conversation about soccer. It makes an impression, and it’s fun to see the astonished faces of the people you’re talking to. How come you don’t know about this club? 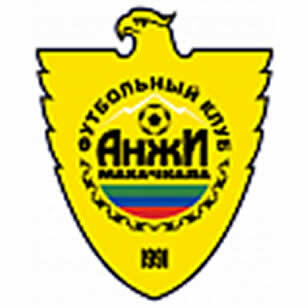 FC Anzhi Makhachkala is a Russian soccer club from Makhachkala,the capital of Dagestan, which was founded in 1991. Since 2010, it has been playing in the Russian Premier League. Why are we writing about this club? At first, it seemed quite normal that a player like Roberto Carlos would transfer to this club because he’s getting on in years and can easily still make a few millions there. But now the bombshell: Anzhi Makhachkala contracted Samuel Eto'o for three years and he’s one of the best strikers in the world. Eto'o is getting a net sum of 60 million Euro for the three years. We’ll have to get used to this club because multibillionaire SuleymanKerimov (estimated worth: 7,8billion US Dollars) wants to give something back to the region he is from. Anzhi (get used to it) were victorious 2:1 over Dynamo Moscow, however after this match proceedings were taken against coach Gadzhi Gadzhiev. It seems he kicked in the changing room door of the referee at half time and in the second half there were some strange decisions against Moscow. That’s ok as far as it goes, because as we know soccer and money go together. However, things begin to hot up because Anzhi Makhachkala is in a part of Russia, which cannot survive without constant assistance. Makhachkalais located in the Caucasian lowlands on the Caspian Sea, approximately 1600 kilometres flying distance from Moscowand approximately 200 kilometres from the Russian border with Azerbaijan. It has about 470000 inhabitants. In 2010, there were over 100 terrorist attacks in the Dagestan region. Because of the dangerous situation, the professionals live and train in Moscow, which is 2 flying hours away. Home games take place in Makhachkala, however. Does soccer really need this club?